India, like many countries, taxes capital gains differently from ordinary income. Long-term capital gains are taxed at preferential rates and short-term capital gains may or may not be taxed at preferential rates depending on the type of capital asset involved. In addition, listed securities and other assets have different periods to determine whether the investment is subject to long-term or short-term rates. Since tax rules are subject to change at any time, the reader is advised to consult a tax advisor to determine the rates that may be applicable to him. The information below is only a brief summary of rules that are complex and lengthy, and is not meant to be a substitute for professional advice. An investment in real estate gets the benefit of long-term capital gains if it is held for a period of at least 36 months. The long-term capital gains tax rate is 20% while the short-term rate can be as high as 30%. (There are also some additional taxes that amount to less than 1%.) Although long-term rates are significantly less than short-term rates, one has to weigh that against the economics of the investment opportunity. Short-term opportunities tend to have higher returns and they are also more predictable. Most foreign investment in Indian securities comes from jurisdictions that have preferential tax treaties with India. For investments that are not subject to such a treaty, the general prevailing Indian taxation of securities transactions will apply. Investments in equities can be expected to earn dividends and have a capital gain or loss at the time of resale. Investments in debt will earn interest and could also have a capital gain or loss. Dividends paid by Indian companies are not subject to tax at the hands of the recipient. However, this rule is not as advantageous as one might think because the dividend-paying company is required to pay a dividend distribution tax, which results in a tax-inefficient structure. 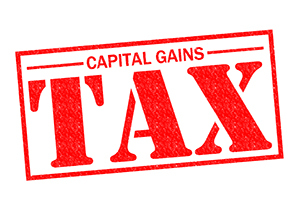 Capital gains tax rates for securities are based on two variables: (a) whether it is a long-term gain or a short-term one and (b) whether the gain is from a listed share or equity fund, or other securities. In India, an investment of less than or equal to a year is subject to short-term rates while an investment for more than a year is subject to long term-rates. Long-term gains from listed shares are taxed at a zero rate and long-term gains from other securities are taxed at around 10%. Short-term gains are taxed at around 15% and around 30% for listed shares and other securities, respectively. Interest earned by foreign investors from listed bonds is taxed at around 20% but the government has recently announced special rates for investments in certain types of debt instruments. Unfortunately, at the time of this writing, it is not clear whether these lower rates (5%) will be applicable to debentures issued by real estate companies. 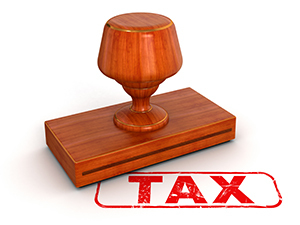 India has double-tax avoidance agreements (DTAAs) and treaties with a number of countries. An investor has to evaluate the treaty between India and the country of his residence to determine his specific tax outcome from an investment in India. In general, under most DTAAs, profit from a direct investment in real estate is taxed in the country in which the property is located, so an NRI who purchases real estate in India will be taxed as per applicable Indian tax rates as mentioned earlier. However, the tax outcome of an investment in equity or debt can vary quite substantially depending on the country from which the investment is made. It is for this reason that most investments into India come through a small number of jurisdictions that have preferential tax rates for investments in equity or debt. For example, much of the equity investments into India come from Mauritius and much of the debt investments into India come from Cyprus. The other preferred jurisdictions for investments into India are Singapore and the Netherlands. Few investors enjoy dealing with the tax authorities of any country. 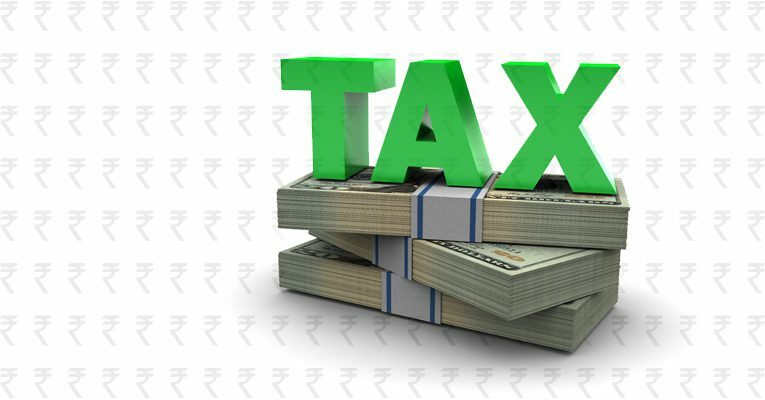 Dealing with India’s tax department can be a particularly unpleasant experience because laws are sometimes drafted poorly and the resulting lack of clarity gives the tax authorities discretion to affect the tax outcome. As in most emerging markets, discretion given to government employees can sometimes be exploited to the disadvantage of the investor. Therefore, it is best to structure one’s investments into India such that only well-settled and clear tax rules are applicable to the transaction. Dear respectful Vikram, Thank you for such a crisp info. with clarity. Can I please learn on the following. In Indian Banks, they have TDS for NRO a/c. By default, for NRIs, it is 30% TDS. But if we submit a specific letter from IRS saying that “so on so is resident of USA and is a good tax payer and so with DTAA [double tax avoidance agreement]” – when that IRS letter is sent to Banks in India, they do honor that and do not charge 30% TDS but charge a lesser TDS – I remember 15% TDS. Similarly if we furnish the letter from IRS to smartowner, when the plot is sold, instead of TDS of 30%, can it be reduced to 15% or so – basically same as banks are honoring with that IRS letter, will Smartowner do with that letter. If yes, thank you so much. Jayakumar, most DTAAs (double tax avoidance agreements) between countries provide that profit from transacting in real estate will be taxable in the jurisdiction in which the property is located. The DTAA between India and the U.S. is no exception to this prevailing custom. Therefore, you will need to pay the full 30% tax in India but you should be able to claim a credit in the U.S. for your Indian taxes paid, resulting in a total tax that is the higher of the two rates.